Water Treatment Plant - Intake Installation - Global Diving & Salvage, Inc. The City of Austin, Texas constructed a new water treatment plant to supply water to the growing city and surrounding area. 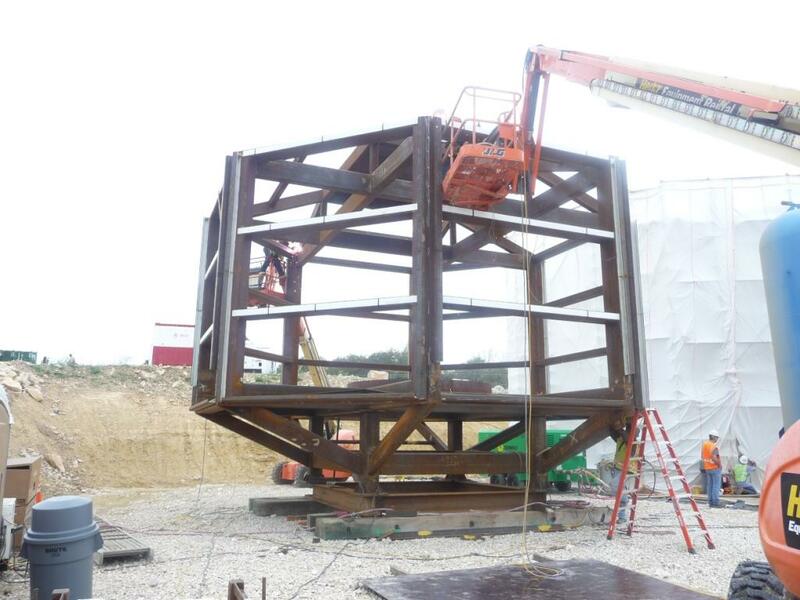 Global provided diving services to assist with the installation of a new raw water intake structure in the bottom of Lake Travis. 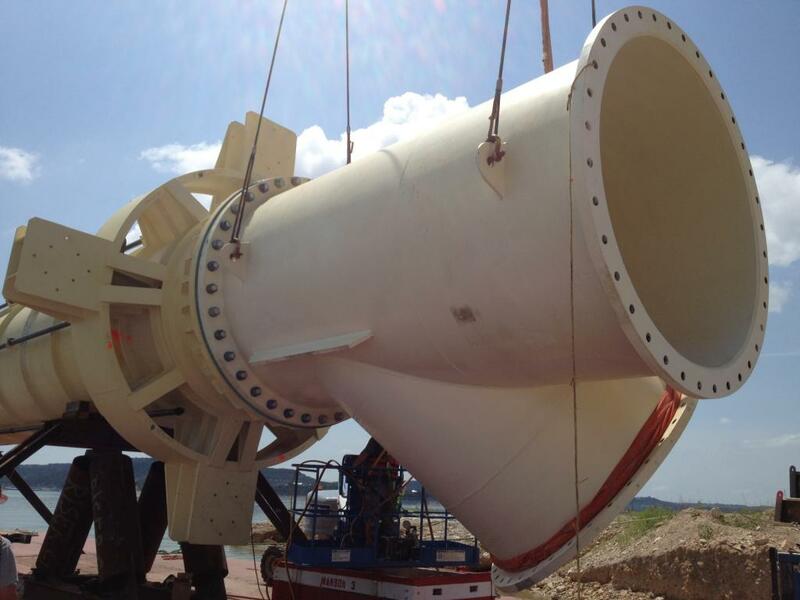 The project involved the installation of a 108 inch diameter by 75 foot long intake riser set into a hole drilled into the lake bottom. Above the lake bottom, three intake structures were attached to the riser, which were set into cradles. 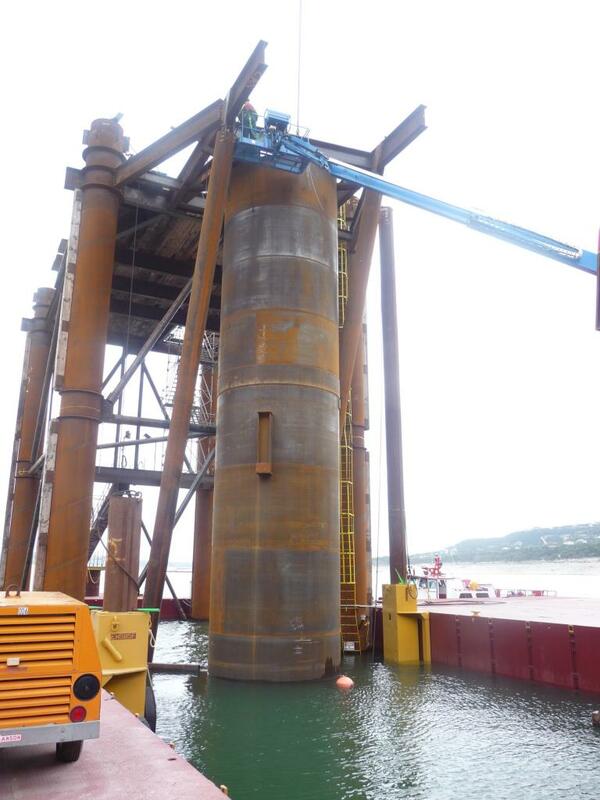 The project involved underwater excavation, placement of grout, heavy lift rigging, and placement and connection of 108 inch diameter pile flanges.